Our tile composer allows you to create your own wall and floor design. You can add tiles individually, in rows and columns or create a random pattern. 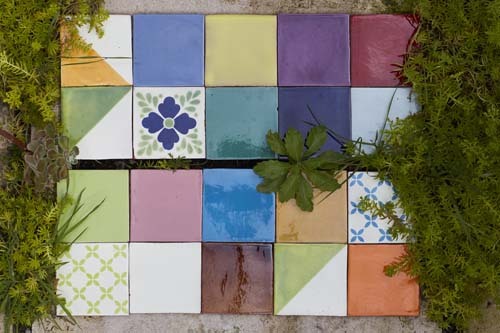 Once you have your design you can add the tiles to the shopping cart. There are five different tile composers for each shape of tile.